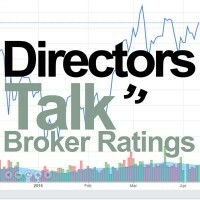 Somero Enterprises, Inc. using EPIC/TICKER code LON:SOM had its stock rating noted as ‘Retains’ with the recommendation being set at ‘CORPORATE’ today by analysts at finnCap. Somero Enterprises, Inc. are listed in the Industrials sector within AIM. finnCap have set a target price of 205 GBX on its stock. This would indicate that the analyst believes there is a downside of 10.3% from today’s opening price of 228.5 GBX. Over the last 30 and 90 trading days the company share price has increased 9.25 points and increased 43 points respectively. Somero Enterprises, Inc. LON:SOM has a 50 day moving average of 201.98 GBX and a 200 day moving average of 172.74 GBX. The 52 week high share price is 234 GBX while the 52 week low is 117 GBX. There are currently 55,398,035 shares in issue with the average daily volume traded being 189,954. Market capitalisation for LON:SOM is £127,415,480 GBP. Somero Enterprises, Inc. is a manufacturer of laser-guided equipment. The Company’s equipment automates the process of spreading and leveling volumes of concrete for commercial flooring and other horizontal surfaces, such as paved parking lots in North America. The Company’s products include S-22E, S-15R, S-15M, STS-11M, S-840, S-485, CopperHead XD 3.0, Mini Screed C, PowerRake 3.0, 3-D Profiler and SiteShape. Click SOM for the full archive.